There are a lot of unique things to love about Hong Kong. I want to try and capture some of those in short blog posts. The aim is to focus on unique facets of this tiny, explosive country. What better way to start than with a clean sheet…ehr…I mean a clean towel! 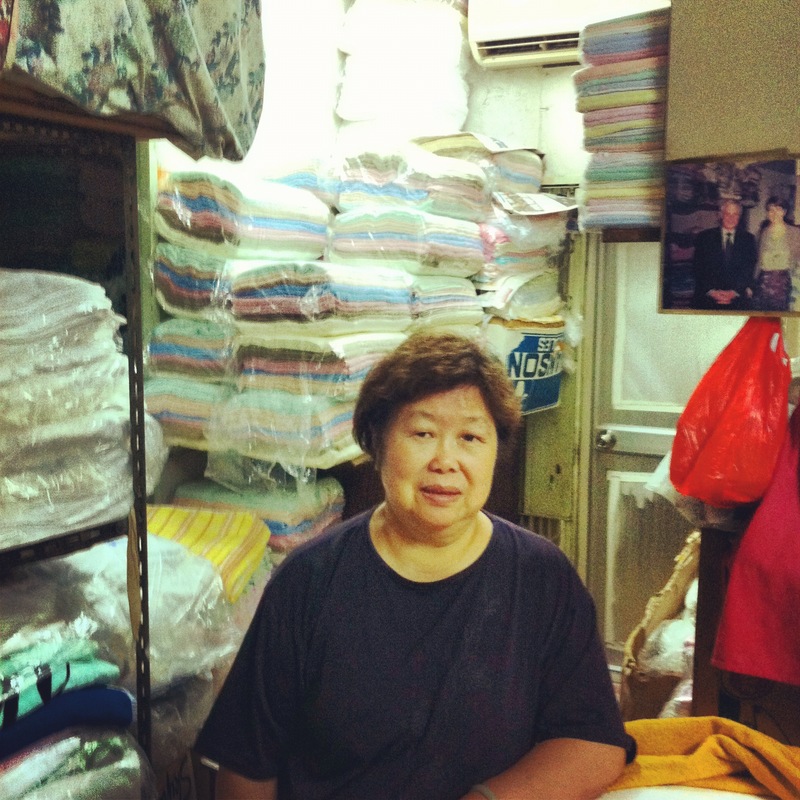 In a small apartment in Wanchai is Lam Kee. She runs an establishment called “Towel Shop.” Friends suggested we visit. They both work in hotels and had just told us hilarious tales about guests checking out with suitcases filled with towels. Towel Shop has plenty on offer – and quite a few from hotels. Today I bought two large bath towels, a pair of hand towels, and two bath mats. The total was HK$200 or US$25. They felt thick and looked to be of good quality. If I wanted lower quality there were piles and piles available. Mrs Kee has been in business for a while. She has printed cards with directions inside (see below). She even has a photograph of herself standing alongside Chris Patten – the last governor of Hong Kong under British rule. See him just above her shoulder? 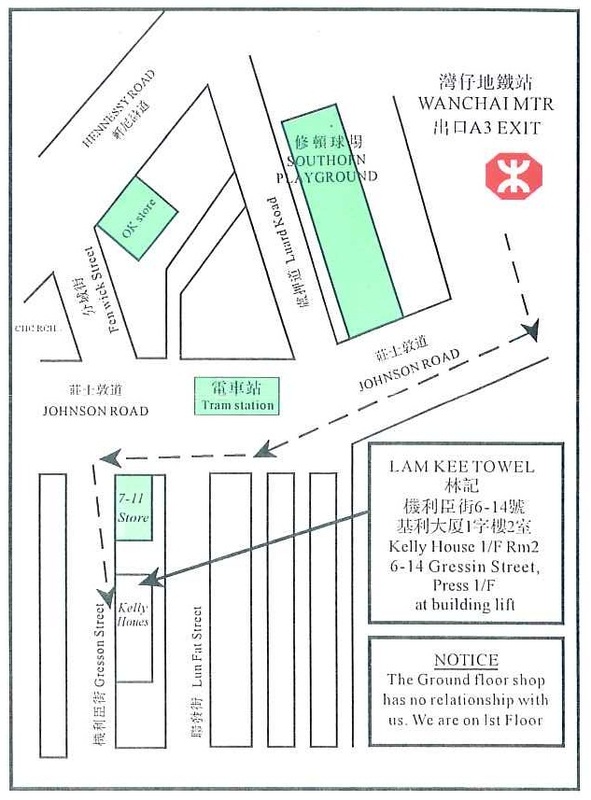 The address is – Room 2, Level 1, Kelly House – 6-15 Gresson Street, Wanchai, Hong Kong. Phone first to ensure she is open on 2865 6378. Normal hours are Monday to Saturday 10:00 am to 5:00 pm. It is an easy walk from the Wanchai MTR Station.